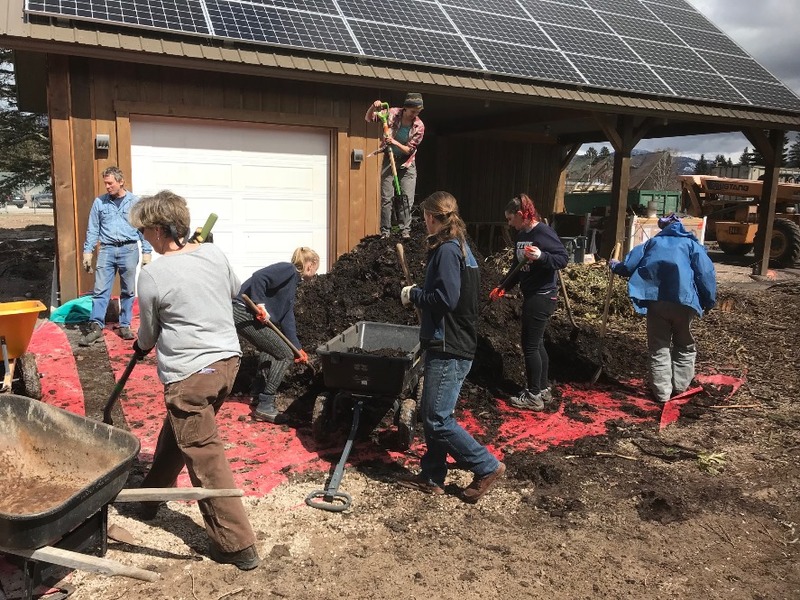 Small communities in the Flathead Valley often find themselves lacking in resources and support when they take the plunge and try to move forward with initiatives to improve their climate resilience. How do you begin to organize your community to save water during the hot summer months or insulate homes to stay warm during the winter? How can each of us make a difference in our communities? Climate Smart Glacier Country set out to discuss these question at a Community Conversation at this year’s Free the Seeds! Fair entitled “Building Resilient Systems, Learning From Our Neighbors.” Kalispell Kreamery partnered with us to host the conversation, and talked about their experience attempting to switch from plastic to glass bottles while navigating the tricky plastics recycling issues that plague most of Montana. They are currently exploring various avenues that would allow them to minimize plastic waste while still providing a great, convenient product to customers. The only way to move such initiatives forward is to gain community support, usually by listening to and learning from the people who have spent years championing sustainability and forward-thinking climate policy. Whether you’re trying to start a city-wide composting pilot project or replace a single home’s lightbulbs with LEDs, there is someone in the Valley who has useful experience. Taking advantage of the depth of knowledge in our communities around energy efficiency, sustainable agriculture, and “green” waste management is the best way to move future projects forward. CSGC also partnered with the Whitefish Lake Institute to provide support for the first-ever Montana Lakes Conference, held in Whitefish last week. The conference was unique in its dual focus on science and policy, with seminars running the gamut from highly academic to free and open to the community. Climate Smart joined the ranks of exhibitors including the Flathead Lake Bio Station, the USDA and Forest Service, Flathead Conservation District, and Northwestern Energy. Though lakes in western Montana face a broad variety of issues, there were several that came up again and again. Aquatic invasive species pose an ever-present threat, something that communities like Whitefish are attempting to deal with via their Climate Action Plan by partnering with the Whitefish Lake Institute to develop and maintain a rapid response plan in the case of invasion. And then there’s the changing climate, which will warm lakes and affect their insect and fish populations in dramatic ways as water stratification and temperature differentials change. And of course human-caused pollution is a threat, with old septic systems leaching into lakes at increasing rates and, along with other pollutants such as agricultural runoff, causing blooms of dangerous algae and bacteria. But there’s cause for hope–extensive community-based monitoring initiatives are going strong at some of the more remote lakes in the area, where there are no official boat inspection stations to check for invasive species. And citizen science efforts are always increasing, getting more young people interested in lake ecology and health and encouraging them to start fighting for stricter regulations that will prevent continued pollution and degradation. Join us at our upcoming events to continue these community conversations about the issues we face, and the ways we can learn from each other to find sustainable solutions!